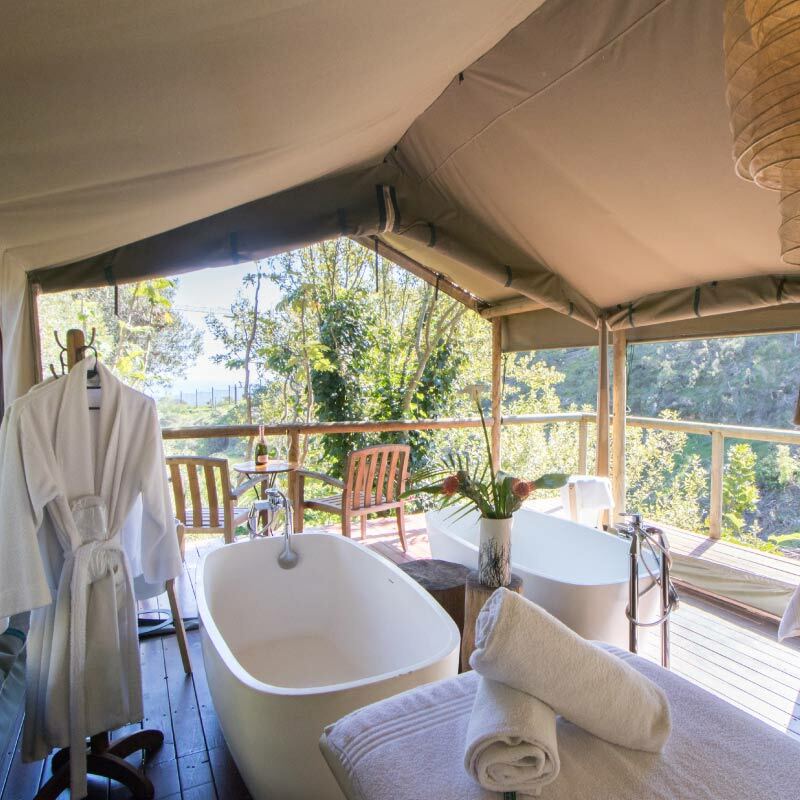 We offer a complete spa experience at Camps Bay Retreat, a sanctuary for the soul, set on four acres of lush green nature reserve with a natural mountain meditation pool, thickets of trees and mountain streams. Spend a few nights at this magnificent reserve in the old world splendour of the boutique hotel or across the hanging bridge, at the Deck House or the Villas. All rooms have views over the reserve, reaching down to the ocean, with the sound of crashing waves waking you in time for a buffet breakfast. The Von Kamptz Restaurant’s executive chef creates a daily menu of gourmet fare, combining a symphony of fresh ingredients from local markets. The spa is a tranquil space, coupled with breathtaking views, a sauna**, steam room**, spa bath, solar heated and cold pools. 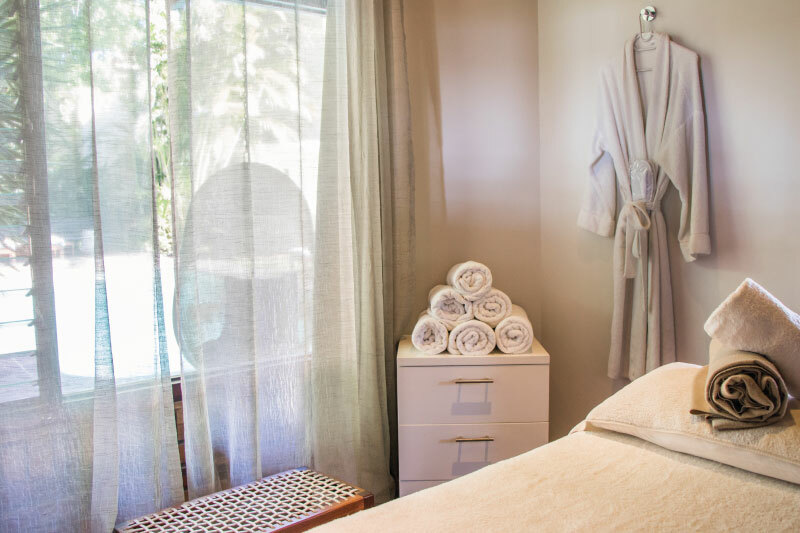 The Nature Baths at Camps Bay Retreat will take you on a journey of tranquility unlike anything you’ve experienced before. Its quiet, secluded setting is like a secret piece of heaven. For singles, an amazing session of escapism and for couples, a blissfully romantic retreat. Be sure to experience this hidden gem while staying at Camps Bay Retreat. 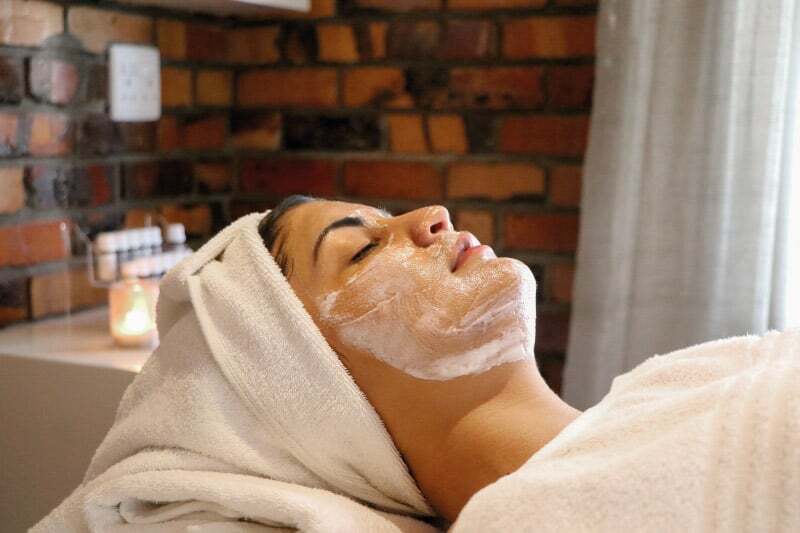 Enquire about spa packages and specials at reception. 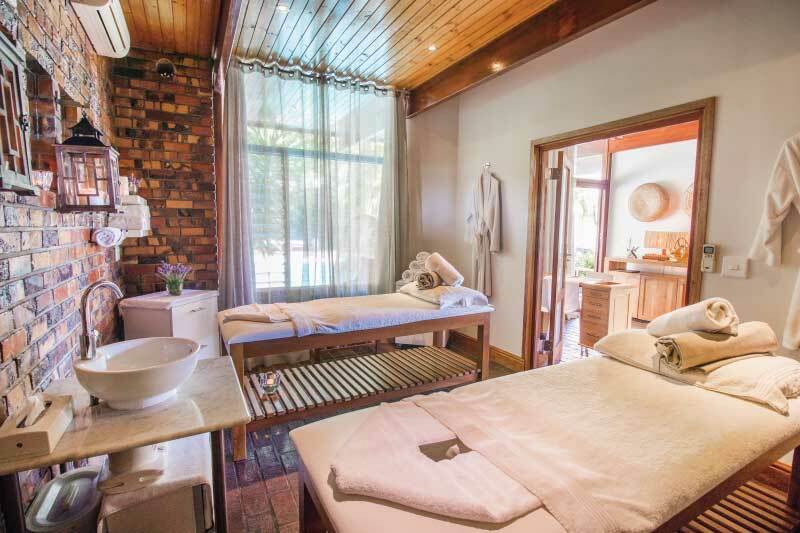 *Camps Bay Retreat Spa is a boutique spa with one treatment room only. Treatments are by appointment but should we be able to accommodate walk-ins, we will do so with pleasure. Breakfast, brunch, lunch, picnics and dinner by arrangement. A robe, slippers and disposable underwear are available for your use. Bring your swimming costume if you would like to swim. Unfortunately late arrivals may result in a shortened treatment. Determined in accordance with the Department of Trade and Industry’s Codes of Good Practice on Broad Based Black Economic Empowerment, as Gazetted on 11 October 2013.